Well, it’s been a month and look at us now! 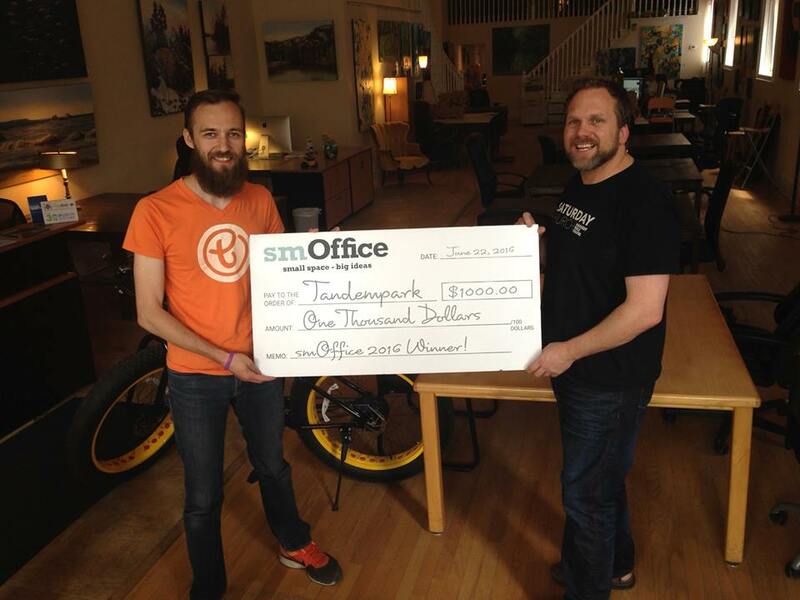 When Chad Ballantyne of the Creative Space told me the news that Tandempark was selected as a local smOffice winner, I knew it was a pretty exciting opportunity. 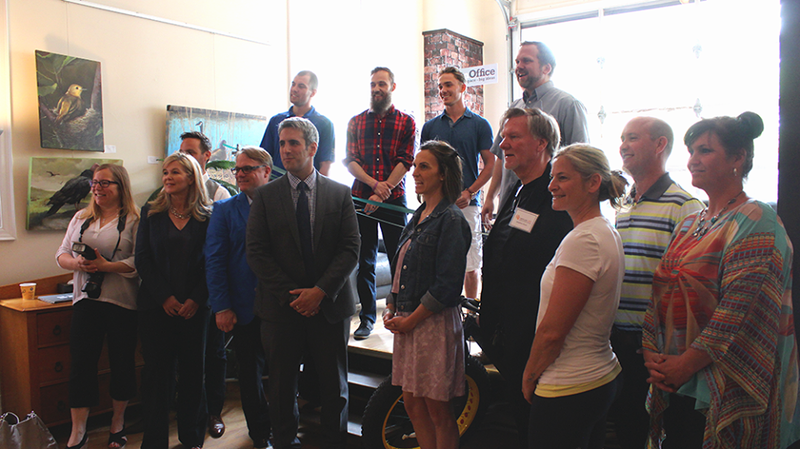 Along with GetWyred and Jon Grootveldt’s vertical farming project, we’re lined up to get some incredible mentorship from Chris Adams, Angela Baldwin, Craig Busch, Marc Castel, Todd Palmer, and last year’s smOffice winner, Shelby Taylor. 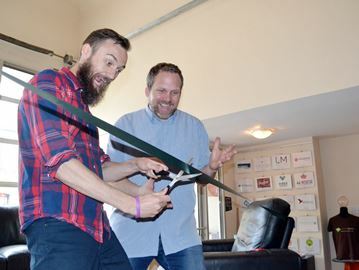 I am super excited about meeting with each of them, not to mention the great working space at The Creative Space and the sweet Barrie community perks that we’re receiving (stay tuned for more about those)! Tandempark is aiming to make volunteering more efficient, effective, and enjoyable. By creating an online network of volunteers, we’re making it easier for volunteers to connect and engage in meaningful and rewarding projects, while helping reduce the waiting, worrying, and working involved in volunteer recruiting. It’s a fresh approach to voluntarism and we’re excited to help people make an even bigger impact on their community. As we work toward our vision of an engaged and empowered volunteer community, we’re seeing some awesome progress and this first month has already been incredible. My calendar is filling faster than I could have expected, emails are coming and going increasingly fast, and choices I’ve made are already impacting decisions that I face on a daily basis. We’ve already had some very successful meetings that I’m excited to say more about (but can’t yet), we’ve built some very key connections, and our business plan has never been stronger! Of course, I’m definitely learning a LOT about being a start up. Here are a few lessons I’m glad I learned early. I dropped the ball on an email reply. Having received a meeting request, I wasn’t ready to reply quite yet. There were question marks in my schedule at the time that I needed to follow up on and, as can often happen with emails, it got buried under countless others until it was out of sight. Fortunately/unfortunately, it was one of my mentors that I’m incredibly excited to work with. They called me out on it and transformed what could have been a very costly mistake into an invaluable learning opportunity. I’m so glad they did! What did I learn? Communicate Effectively. I’ve allocated focused email time now and have made a rule to not read an email if I’m not able to reply right away. It’s working for me so far. A friend of mine posted something on her status on Facebook the other day. I’m paraphrasing, but basically she said, ‘It’s 7:30 and I feel like I’m supposed to be somewhere. Can anyone help me out?’ Gulp. Turns out it was just one of those rare days when she actually didn’t have anything planned but I couldn’t help think to myself, ‘what an awful feeling!’ It made me think about my own scheduling and realized that if I miss a meeting at this stage of my startup, it can set me back dramatically. What did I learn? Get Organized. I’m using an online calendar (Google Calendar) now and learning to be diligent with making sure appointments and meetings are entered as soon as they are scheduled. Even the tentative ones are in there. With the traction and progress Tandempark is enjoying, it is far too easy to get overwhelmed by the constantly growing to-do list. I’m also realizing that I’m not Superman (Batman, maybe) and I can’t do it all. I have some things that I’m really good at but there are many things that I am much better off enlisting help for. What did I learn? Get Help. I’ve been fortunate that smOffice, by it’s very nature, surrounds me with experts who can guide me along. That’s probably why I’m most excited about meeting with each of our mentors. It’s incredibly empowering to have so much experience on my team. So, one month in and already so much growth! I can’t wait to see what the rest of this summer brings! Thanks, smOffice! You’re smAwesome!